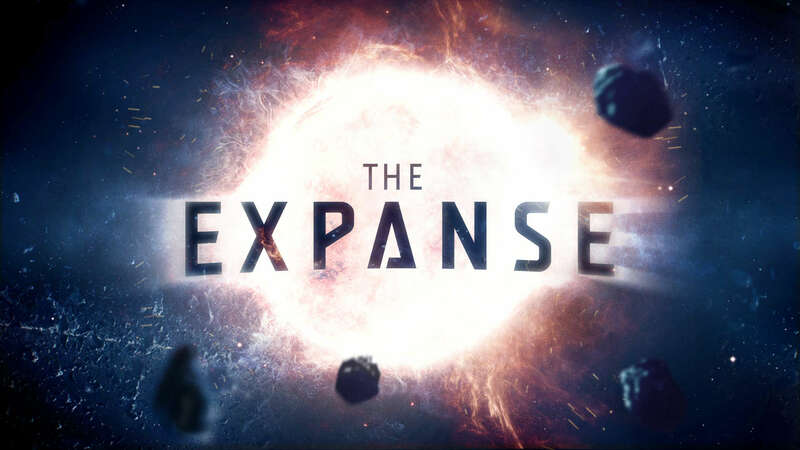 The Expanse is currently in it’s 2nd season and was recently renewed for a 3rd. 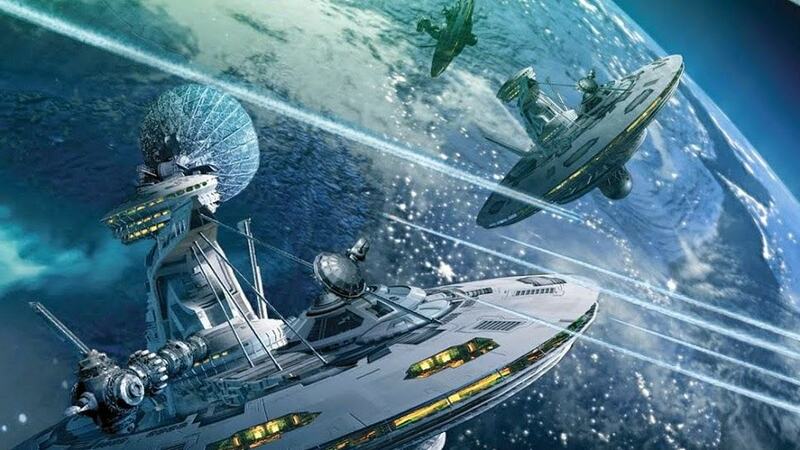 Here’s why you need to catch up and get ‘on board’ with SyFy’s interplanetary space drama. 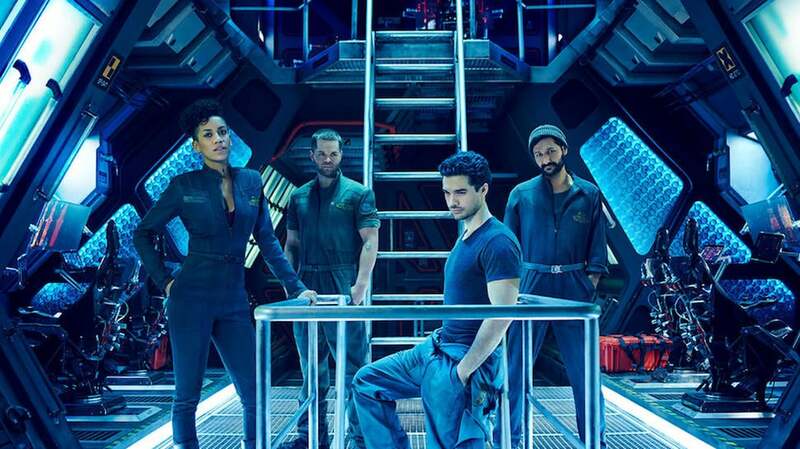 The Expanse , going into its second season on the SyFy channel, has been something of a sleeper hit, gathering an increasing following on Netflix via word of mouth. The series is based on the novels by James S A Corey the nom de plume of writing team David Abraham and Ty Franck. Abraham has collaborated with George R R Martin in the past and there is something of the Martinian in the bleak outlook and endless horizons of the world; and also in the very human stories of Hobbesian lives lived nasty, brutish and short. If that doesn’t sound your cup of tea right off the bat, no worries, the makers are confident enough in their product that you can stream the first episode for free, though if you’re on Netflix, you already know you can stream the first season at no extra cost (at least in the UK). If that doesn’t sell you on it, here are ten more reasons to give it a go. 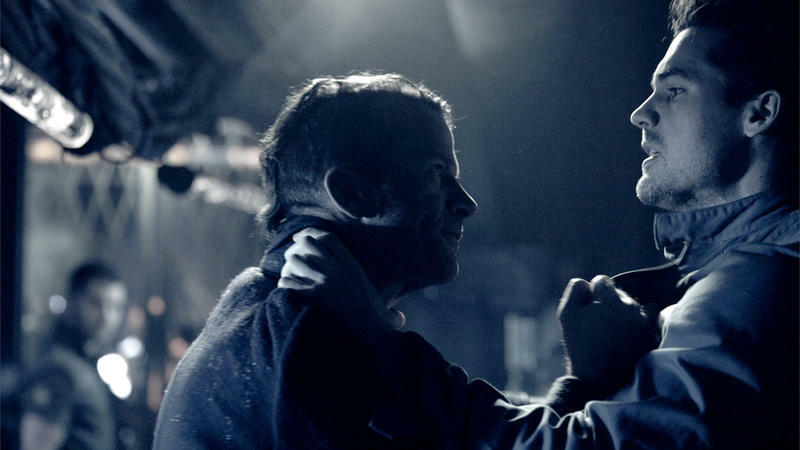 In the grand noir tradition which The Expanse draws on (more on that further down the list), every character has a past they don’t much want to talk about, they’ve all lived tough lives and are struggling to make their way without compromising their values too much and compromising on everything else if it gets them any further. Particular stand outs are Thomas Jane in a fabulous role as run down by a Philip Marlowe-esque private copper Detective Miller, Jared Harris’ recurring villain, a political activist with a fab accent and complex sort of radicalism, and the mercurial Chrisjen played by Shohreh Aghdashloo. There are no real good guys and no real villains. Grey areas in the characters abound. Shohreh Aghdashloo using illegal Gravity Torture. That moral ambiguity is another selling point, and is one of the reasons people are calling The Expanse Game of Thrones in space, no one is simply bad, or obviously good. The heroes are corrupt, or violent, or make terrible mistakes which haunt them and their friends. Even the seriously out there third act villains are doing what they do for understandable motives of greed, fanaticism and even a sense of aesthetics. 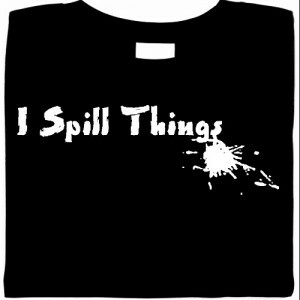 Our main characters include a wastrel, a torturer, and a corrupt cop. But because they are three dimensional, they are redeemable, or at the very least interesting. The show may be set in space, but it is not just a space opera. 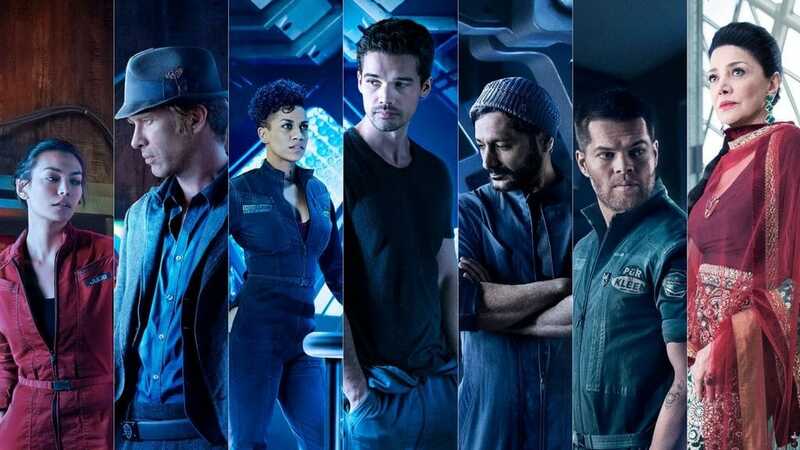 The moral ambiguity grows out of the heavy noir influence but The Expanse has something for everyone, drawing on genres as diverse as political and techno-thrillers, survivalism, horror, post-colonial literature, and even the old sailing novels of C S Forester. The blend of genres is controlled fabulously, and the show maintains a unified tone despite its many antecedents. The shift in genre is frequently used as a kind of punctuation: an early action scene has its stakes massively upped by a sudden moment of visceral body horror when someone is decapitated. Whereas elsewhere the small-scale missing-person plot spirals out from police procedural into a huge political conspiracy driven by technology that might turn the cold war between Earth and Mars hot. The show is about human division, but avoids the obvious lines of men and women or of ethnicity. These are fascinating and rich seams to mine narratively but we are not short of shows which analyse the pathologies of patriarchy. Instead The Expanse focuses on the class struggle between poor and rich, and xenophobia on a planetary scale. The scaling up to the planetary means that it is a melting pot on gender and ethnic lines. While the show still falls prey somewhat to the white-male default so much of US television suffers from, this is a world in which well written women and people of colour are both front and centre and almost never defined by their gender or race. What defines people isn’t colour of skin or genital shape, but how much gravity they were raised in, and in how much money. It’s refreshing and allows for a different series of dynamics to be explored centred around different sorts of identity and tribalism to more earthbound dramas. The scaling up to the planetary also makes for a huge world of week long journeys between planets conducted under brutal acceleration and along elliptical curves. The vastness of space is existentially as well as physically threatening and one always feels it would take very little for our characters to disappear into the void. And when the ship lands there are whole cultures and subcultures all of which are rich and diverse and often merely at the edges of the action. It makes for a diverse world which feels lived in by people who live their lives as varied as we do. 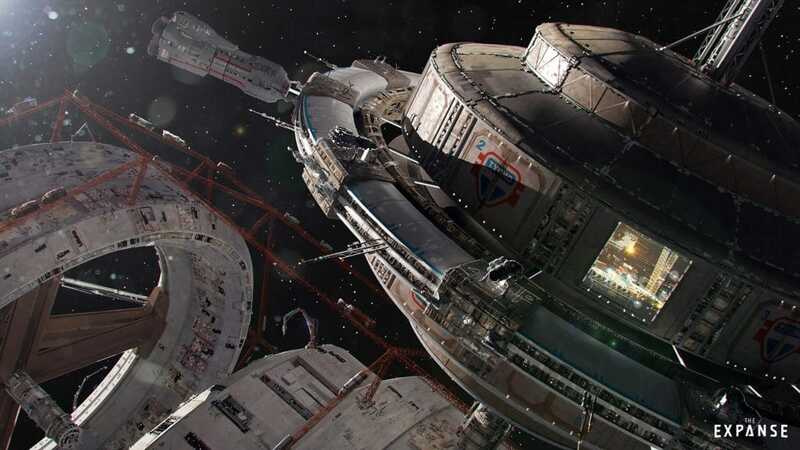 Despite the ability to travel the solar system, the hard vacuum and in the Belter’s case the high gravity of the planets keep people confined to the life support systems of their home worlds or their ships. All of which seem built for function. The show is fabulously designed, there is dust and grime on everything. It all looks like it stinks of exhaust smoke and human sweat. The spaceships look patched, burnt and battered, every part replaced at least once and inside they feel more like oil rigs or submarines than airliners and fighter jets. 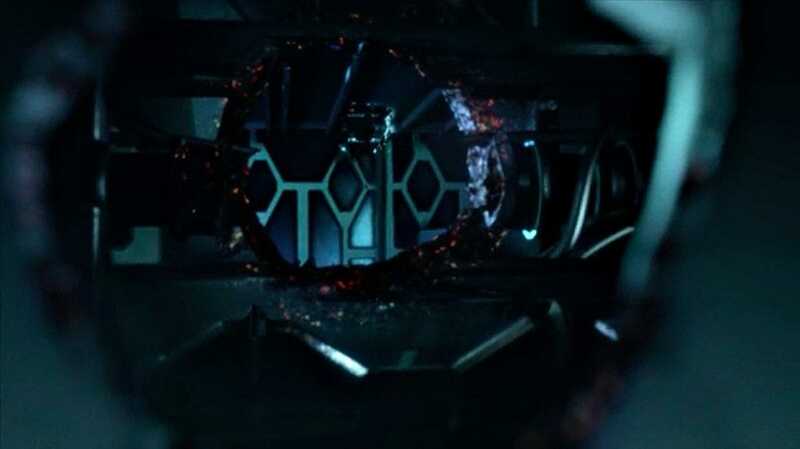 From the Belter’s having their own language, slang, and accent (a mix of Southeast Asian and South African) to the crack in the screen of Detective Miller’s holographic mobile a massive amount of attention has been paid to creating The Expanse’s world and culture. Exposure to high levels of radiation initially bonded Jim Holden and Joe Miller. One particular aspect of the world building is the political landscape of the show. If House of Cards is your jam, then the ongoing battle for military intelligence, power and the saving of face might be what keeps you glued to The Expanse. Information is key, and the management of information is the thread than binds the various plots. Miller trying to dig information up, Holden trying to disperse it, and Earth trying to control it. These threads are coated in corruption and intrigue, backbiting, deception and I-go-here-she-goes-there type thinking. It makes for an engrossing historical arc onto which the characters individual adventures are superimposed. Martian marine Bobbie Draper, season 2. There is never a time when classism and fear of the Other aren’t timely topics of discussion, but when combined with the sense of unrest and corruption that pervades modern politics, and the iconic nature of the terrorism in our century, it’s hard not to see The Expanse as being very much about the politics of now. The struggle between the rich and poor in the belt, between the hair trigger militarism of the Martians and the decadent wealth of Earth, mirror aspects of the post-9/11, post-Credit Crunch world without ever being so simplistic as to slip into allegory. It’s a rich and self-contained what if, but it seems to draw its themes from the headlines. 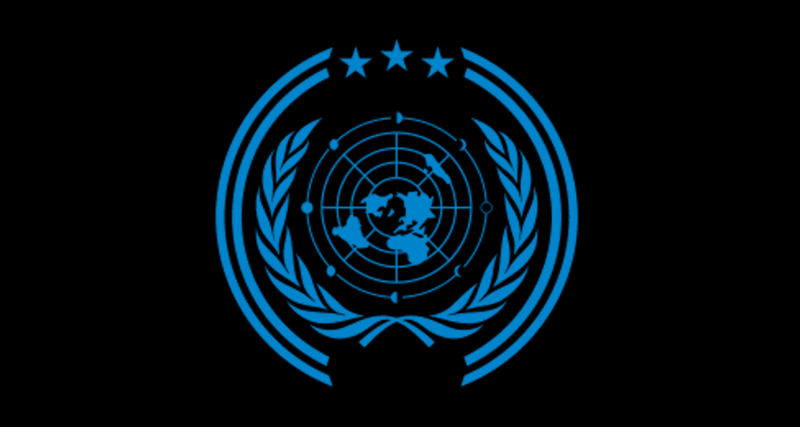 The United Nations controls the Earth’s military and the Moon. Those themes are another selling point. Ideas of loyalty to your people, to the state, to your colleagues, or friends, loved ones and ideals. In a less rich series the choice would be clear and feel good. 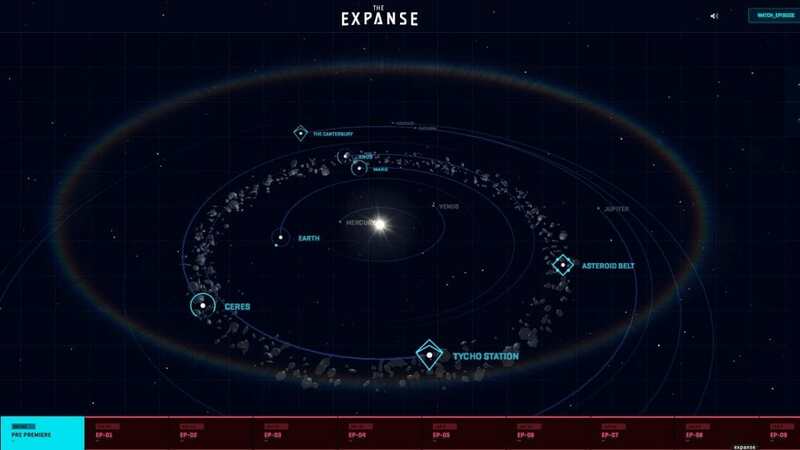 But in The Expanse choices are always compromises. Protect your crew or salve your conscience, respect the rule of law, or protect the oppressed. Either way someone will probably end up horribly maimed or thrown out of an airlock. No one gets it easy, and everything has consequences. 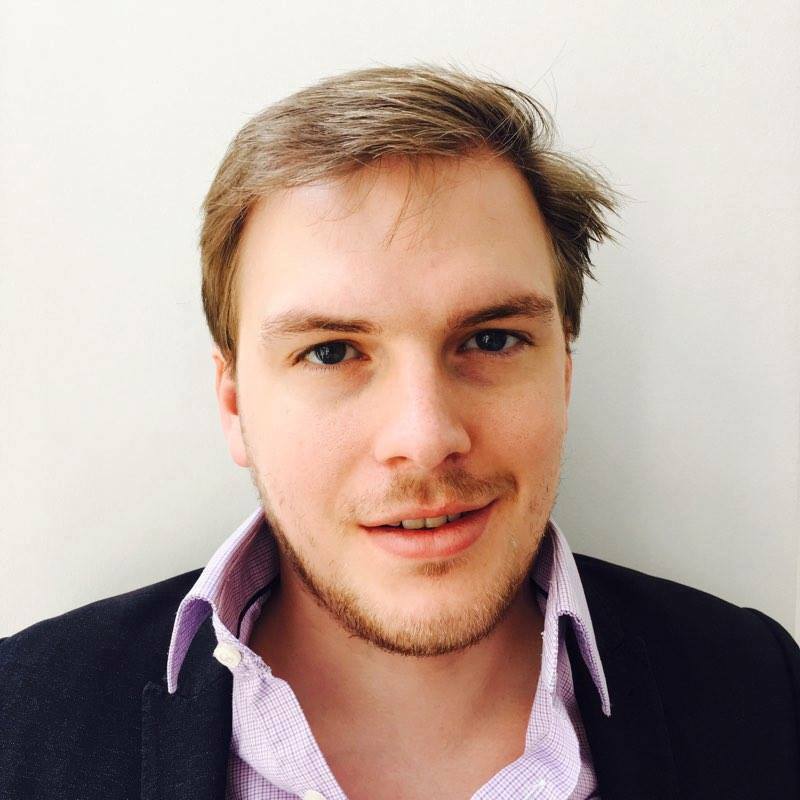 Shed’s death was a result of a mysterious attack on MCRN Donnager. The greatest of those consequences is death. From the shocking final moments of the pilot you know that no one is safe. From then on, when the water ration runs out in a character’s shower, you don’t know if it’s just worldbuilding played for laughs or foreshadowing of a fatal drought. Everything in this world is out to kill you. The hard vacuum of space is an ever present threat, as are the constant malfunctions in the ships that coast through it. Everything needs to be maintained, the air filters need cleaning, even just the acceleration and deceleration of the ships can crush you if you’re not strapped in and dosed up. Everything is rationed except the internet. Even if you can keep yourself and those around you alive, there is every chance one of them will put something sharp through you, either by accident or as an act of betrayal. Life is fragile in the expanse. And gets increasingly so as the plot ramps up. But the thrill is worth the risk. Climb on board.